Just like the volume of data being produced today, data centers are booming the world over. Companies have awoken to the idea that there is power — and profit — in their data. They are now storing, retaining, analyzing, and monetizing it like never before. Throw in the litany of new regulatory requirements, and firms today need more and more space to host all their information. It’s just a new part of doing business, which means more and more data centers and cloud providers are needed to maintain the new way of doing business. The growth of the market speaks for itself. Between 2016 and 2021, the global cloud managed services market size is expected to grow 16.6% per year (CAGR), jumping from $35.5 billion USD to $76.7 billion USD, according to real estate services and investment management giant Jones Lang LaSalle. The Chicago-based firm, in its “Data Center Outlook 2016,” noted that while the market has developed primarily in the United States and Europe, global expansion is now a key trend. The bigger players are pushing into new markets and smaller “multi-tenant” data centers are gaining traction in many areas of the world. Jones Lang LaSalle says that 71% of enterprises now use some sort of hybrid cloud technology, with overall spending set to exceed $200 billion USD in 2016. In line with government practice, many companies in Trinidad and Tobago prefer to retain their data within the country as opposed to jumping onto the global cloud. Fujitsu’s local operations are one example. Oxford Business Group, a research firm headquartered in London, notes that the Japanese information technology and services company built an independent data center in Barataria in 2009. It immediately became the market leader and still dominates for both government and private data storage. Digicel is one advantageous mover. The telecom boasts about its investment into a center that offers 99.98% uptime without the need for shutdowns during maintenance or equipment replacement. “A redundant delivery path for power and cooling will be added to the redundant critical components of Tier 2 so that each and every component needed to support the IT processing environment can be shut down and maintained without impact on the IT operation,” said Digicel in statement. The firm has plans to roll out an array of services in Trinidad and Tobago along with its traditional storage offerings. These include infrastructure as a service (IaaS), virtual desktop integration (VDI), BYOD, MS Office 365, and managed security services. Disaster recovery as a service has also been a big part of its pitch to clients, something that while not as relevant in Trinidad and Tobago is a large concern throughout hurricane alley in the rest of the Caribbean. Telecommunications Services of Trinidad and Tobago (TSTT), a publicly run telecom, has a Tier-3 data center in the country. 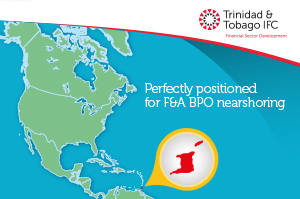 TSTT’s location has been up and running for a number of years but was only created to support the company’s own data. But this is changing in line with a five-year plan that will expand the offerings externally for hosted and cloud services, according to Rakesh Goswami, TSTT’s EVP of strategic alliance, enterprise and Tobago operations. They started with a hosted PBX product that Goswani called “a precursor to a number of other hosted and cloud-based products.” Some others include data recovery, co-locating servers, information as a service, and platform as a service. And in addition to services aimed at the big fish, part of the strategy is to entice small and medium-sized enterprises (SME) with their new offerings. Another telecom in the Caribbean, Cable & Wireless (C&W), has eight data centers in the region, offering resiliency against natural disasters and other potential sources out outage. Redundancy and security are the two pillars of its centers that are spread out from Miami to Honduras to Colombia. Some 65,000 kilometers of subsea and terrestrial cables connect the locations, allowing for vast coverage throughout the Caribbean. On top of its region-wide capabilities, C&W is also in the process of building out operations in Trinidad to manage its entire English-speaking portfolio of services. “Trinidad is going to become the hub for delivering our managed services for all English-speaking countries, including Trinidad,” David D’Oliveira, vice president of C&W Business Trinidad, told Finance TnT. Caribbean IXP is yet another company with data center interest in the Trinidad and Tobago market. In 2015, it announced plans to invest $40 million USD in a data center on the islands. Demand continues to grow. The financial sector is particularly keen to locally host data created through proprietary banking software. Sensitivity and privacy concerns mean that plenty of companies are uncomfortable using solely cloud-based services that may store their information half a world away. Oxford Business Group sees this as a critical time in the evolution of IT services in Trinidad and Tobago. Much of the investment and infrastructure has come online, and more should be on the way soon. In short, to operate in 2016, companies need reliable and constant access to their information. It’s simply the way of the world now. And while Trinidad and Tobago are often seen as small islands by outsiders, the nation has made great strides recently when it comes to big data. Is a Wave of Dealmaking on the Way in Europe’s FinTech Sector?